[...] The table above applies a predefined net rate scheme to a sample of 500+ million words. It clearly shows that Memsource’s most active users increase their productivity by an average of 36% by using translation memory. This means that if you had an average cost of 10 euro cents per word, for this volume you could save €18.6 million. Not bad! What they imply (but cleverly don't state) is that it's only by using Memsource that you can achieve such impressive productivity gains. They are careful not to say against what they measured. My guess is that this 36% productivity gain was measured against similar translations done without the use of any CAT tool at all: If they had achieved a 36% productivity gain over what other CAT tools can do, Memsource would proudly boast of it. However, since most professional translators already use one or more CAT tools, the productivity gains that Memsource peddles to their prospect are really not there... in fact, some professional translators complain that Memsource actually slows them down... and I can confirm that from my own experience with the tool. 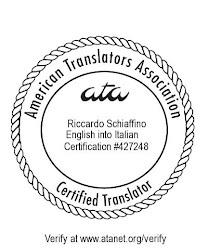 I understand why the program is attractive for translation companies. I can even understand why people who translate only occasionally may find a free tool useful. For full-time professional translators, however, the slow creep of Memsource and similar online straitjackets is a big step backward. I absolutely love your blog.. Very nice colors & theme. Did you make this amazing site yourself? Please reply back as I'm looking to create my very own blog and would love to learn where you got this from or exactly what the theme is named. Kudos! I took on of Blogger themes (the "Simple") theme, and customized it heavily. The graphic art for the banner is my own, as is the "manuscript" background.